Last week’s discussion of sweet fragrances inspired me to stop by the Laura Mercier counter. Of all the cosmetics lines, Laura Mercier seems to be most known for gourmand perfume. 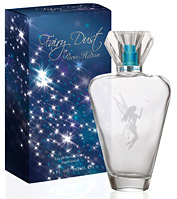 Amber, vanilla, spices, sandalwood and soft musk infuse the line’s fragrances. I was hoping to sample the latest, Lumière d’Ambre — I still regret not buying a bottle of the limited edition Ambre Passion Velvet — but it hadn’t arrived yet. So instead I tried the fragrance that launched Laura Mercier’s perfume line, L’Heure Magique. Atelier Cologne, a new niche perfume house based in Paris and New York, recently introduced its range of five fragrances. Atelier’s signature concept is the “cologne absolue”: fragrances inspired by the historic recipe of the original “Eau de Cologne” — a mixture of citrus and herbal ingredients — but blended in stronger concentrations for a richer and more lasting effect. Each of the fragrances in Atelier’s debut collection is centered around a citrus motif, and each is intended to embody a “singular moment” of memory and experience. 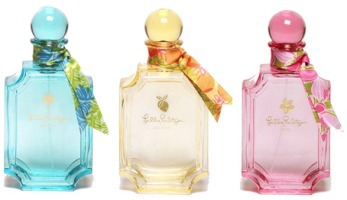 Lilly Pulitzer, the preppy brand known for their brightly colored print dresses, has launched a trio of new fragrances for women: Beachy, Squeeze and Wink. Everybody hates Paris, but she is on the front page.